Why is the home state being brought back into a domain from which it was expressly excluded several decades ago? Why would a home state be interested in intervening in these conflicts? Rodrigo Polanco explores more below. Over the past decades, a regime of dispute settlement allowing foreign investors to initiate international arbitrations against host States has been established mainly through international investment agreements (IIAs). 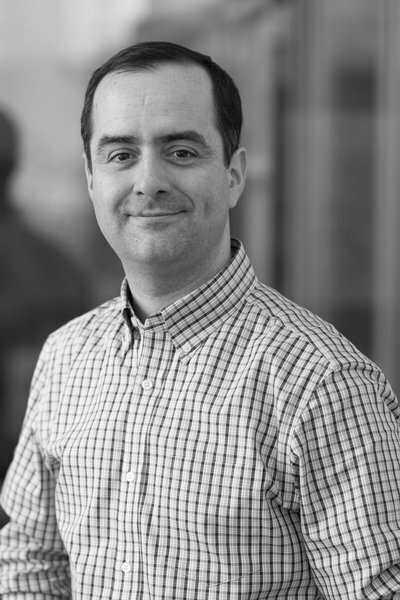 This investor–State dispute settlement (ISDS) system gives foreign investors the procedural alternative of pursuing international arbitration instead of going before the host State domestic courts, when they deem their substantive rights, which are also recognized in those treaties, to be affected. Before the rise of ISDS, foreign investment disputes were dealt with either directly by the investor at the host state’s domestic courts or between the investor’s home state and the host state through the institution of diplomatic protection. The essence of ISDS is that controversies between foreign investors and host States are allegedly insulated against the political and diplomatic relations between States. In return for agreeing to independent international arbitration, the host State is assured that the investor’s home State will not espouse the claim or intervene in a controversy and is theoretically relieved of the pressure of having its relations with the host State disturbed as a result of unwanted involvement in investment disputes. The use of investor–State arbitration has augmented spectacularly in recent years. According to UNCTAD, at the moment of this writing, investors had initiated at least 904 known ISDS cases under IIAs, involving 138 countries. While the ability of foreign investors to choose ISDS has gained prominence, it has also progressively come under heavy scrutiny about its legitimacy and inconsistencies that has been largely documented by UNCTAD and UNCITRAL, among many others. In order to address some of the criticisms of the ISDS system, a majority of states have taken a ‘normative’ strategy, negotiating new investment treaties (or amending existing ones), with provisions that potentially give more control and greater involvement to the contracting parties, and notably the home state. But why is the home state being brought back into a domain from which it was expressly excluded several decades ago? Why would a home state be interested in intervening in these conflicts? Is this ‘new’ role of the home state in foreign investment disputes a ‘return’ to diplomatic protection of its nationals, or are we witnessing something different? 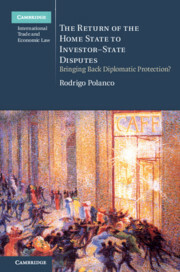 The recently published book “The Return of the Home State to Investor-State Disputes: Bringing Back Diplomatic Protection?” advances the idea that that the changes introduced in IIAs treaty-making of IIAs in recent years, are not a ‘return’ to diplomatic protection, but a return of the states in order to regain control as ‘masters’ of the investment treaties, aiming to minimize risks in the interpretation of those agreements in potential future disputes with foreign investors. In this scenario, a home state would be willing to intervene in investment disputes only if its own public interests are affected; and these do not necessarily coincide with the interests of its investors. The normative strategy described earlier is therefore not aimed at protecting investors but at minimizing states’ exposure to ISDS.